There are also episodes for espresso and cappuccinos – all made by The Department of the 4th Dimension. 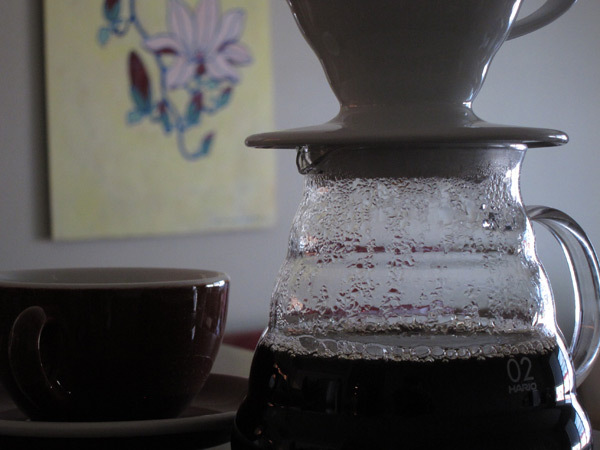 Since picking up a pour-over coffee hobby, my kitchen is starting to look more like a chemistry lab with different types of filters, decanters, and other glass contraptions strewn about. As with most hobbies, this is just a slippery slope to more elaborate things and I suspect fancy siphon systems with beam heaters will be next in my future. 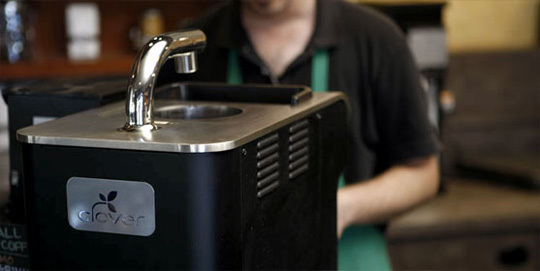 Over the past two years, Starbucks has been slowly rolling out Clover coffee machines to its stores nationwide. Before they purchased the company that made them, the little machines sold for $11k each, and they produce only one cup of coffee at a time through a fancy vacuum method that’s always fun to watch. 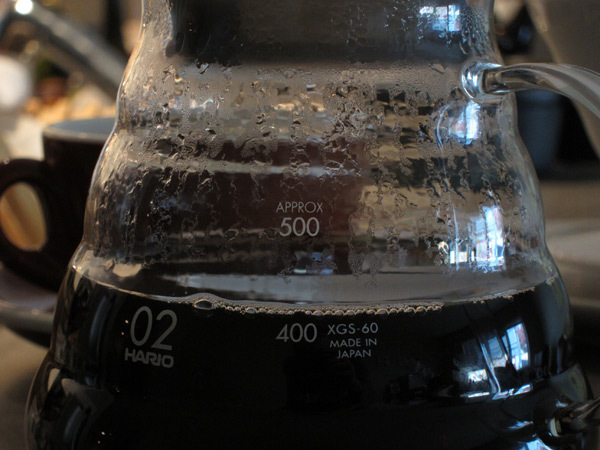 The coffee it produces is pretty good (it will taste similar to what a french press can produce), and I’ve been enjoying the small specialty batches of roasted beans that Starbucks has been making just for it – if your local Starbucks has it, try the Kona blend. 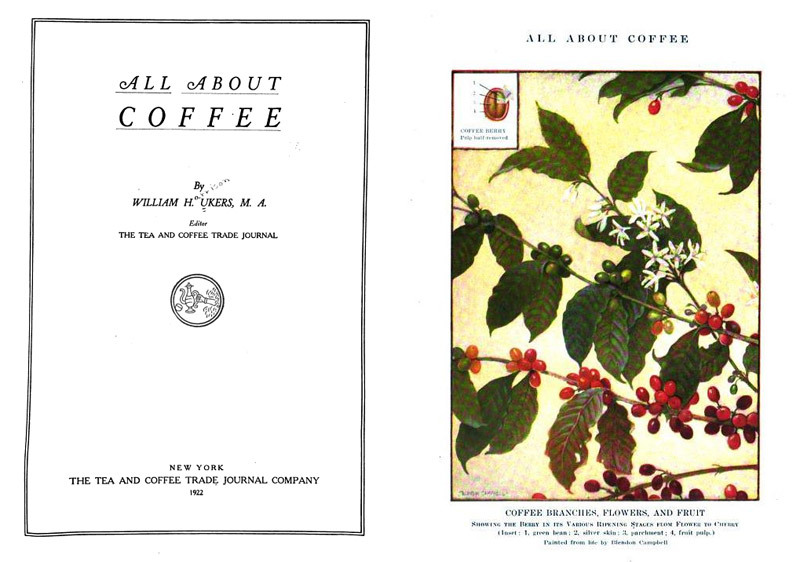 The First Espresso Cart in the U.S.? This interesting photo came up on one of the blogs for the Seattle Times today. 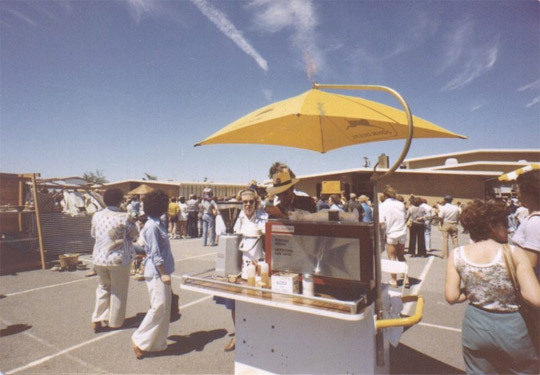 Taken in 1979, it supposedly shows the first espresso cart in the U.S. Going into Christmas my work days become longer and my time available to do other things, like prepare coffee, disappears. 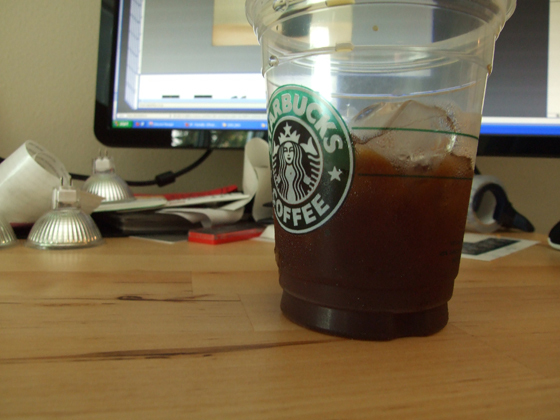 Starbucks developed a great new instant coffee for people like me which they’re calling VIA, and unlike other instant coffees it actually tastes good (I would say that it’s even better than their regular drip coffee that they serve in their stores). 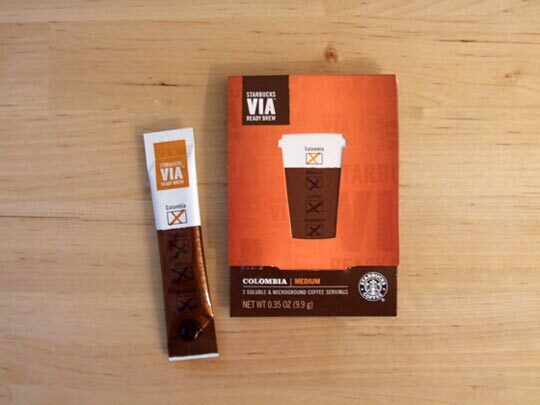 If you’re someplace where good coffee is not easily prepared or are on the go like me, give this stuff a shot. Packets of three are available for $3, and boxes of 12 for $10. 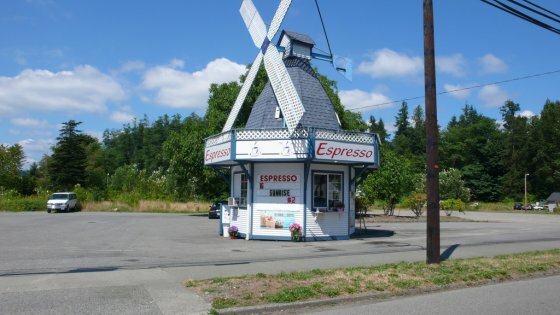 If you’ve ever driven through the Pacific Northwest, you might have noticed the ubiquitous coffee stands that dot the highways and towns. These are usually pretty popular in their respective areas (some for particular reasons), and we even have a book on it. Images from flickr. Besides beer, this is probably the best summer drink that you can have. Just pour the shots directly over the ice and nurse on it for an hour or so. This brings out more of the flavors while removing some of the bitterness.